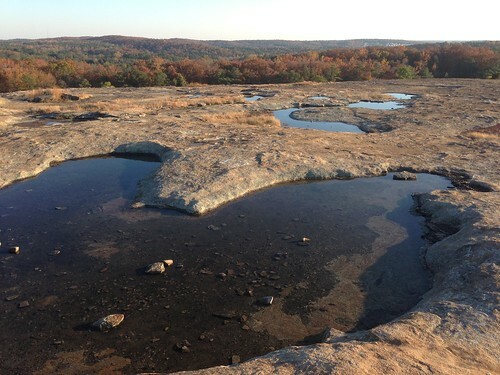 Stories about the ways water moves through natural and human-constructed landscapes... what we can learn from it and how we can use old and new ideas to understand, appreciate, and sustainably use this resource. 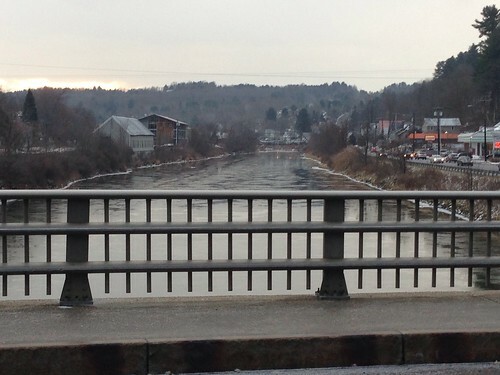 Thanksgiving in Vermont was warm, but on the Saturday after Thanksgiving, the weather changed. 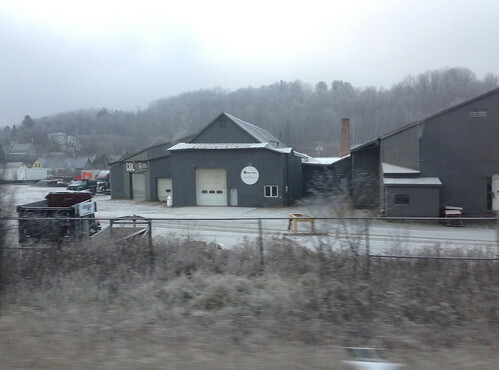 A cold blast of air flowed into the state, and intermittent snow showers dropped about an inch of snow around Montpelier. 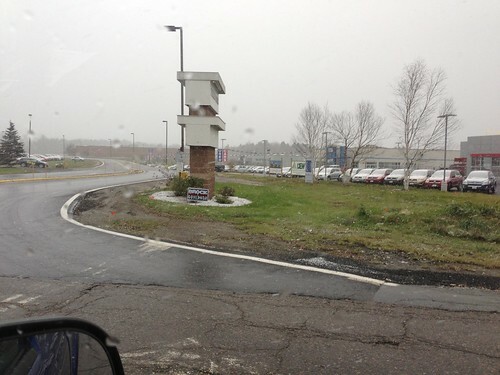 The Champlain Valley didn't get anything on Saturday, but Burlington picked up some snow yesterday. Today a storm moved to our south and dropped some snow in the southernmost part of the state. 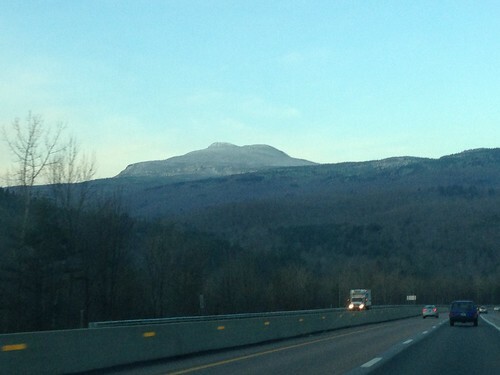 As of this morning, most areas of Vermont had picked up at least a dusting of snow. There have also been cold nights, in some cases down to the teens (f) when the sky cleared out. 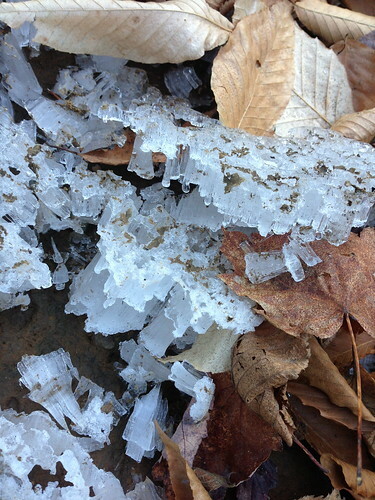 In the cold mornings there has been some frazil ice in the river. Cold temperatures are expected to persist until Saturday or so... for this week it will mostly remain below freezing in Vermont, with more light snow possible. A weather change for the whole continent is brewing in the form of a massive "atmospheric river"storm set to barrel into central and northern California in the next few days. This storm could bring many inches of rain to parts of California, with lots of snow at the highest elevations of the Sierra. Sadly, because the storm is forecast to get 'stuck' pointing a fire hose-like jet stream aimed at around Marin County, the rain will be concentrated in that part of the state, rather than spreading its rain over a larger area. Southern California could use the rain and probably won't get too much. This is a relatively warm storm, and unfortunately for those who like snow, as it moves across the country it will bring relatively warm Pacific air with it. By the start of next week, temperatures in Vermont will be well above average, at least for a few days, with a rain storm or two to contend with. All the temperature changes and precipitation will probably lead to some interesting water and ice events, and I'm experimenting with a new way of sharing photos, just for fun. 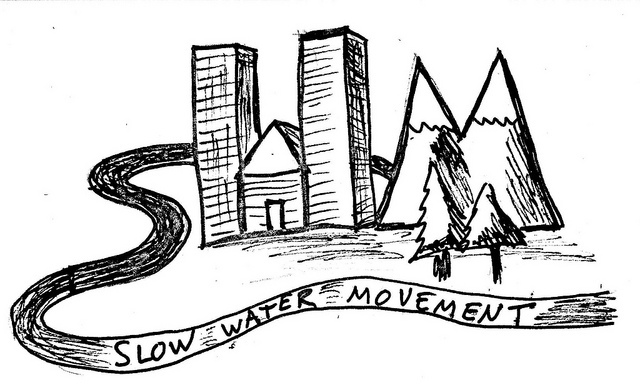 I created a Slow Water Movement Instagram site where I will share photos of water, ice, and general Vermont prettiness. Check it out if you'd like. This wee's November weather in Vermont has been a surprise. 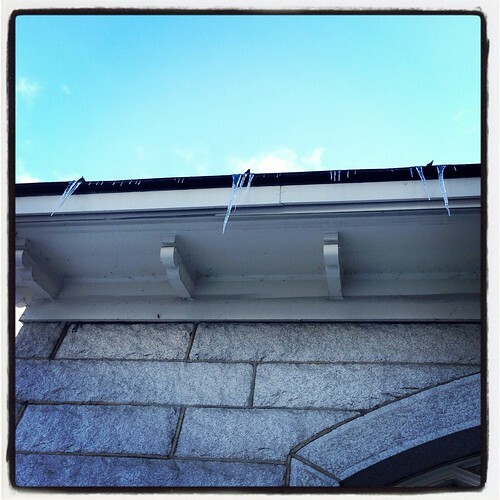 No, we haven't been besieged by hurricanes, major nor'easters, or days of frigid drizzle. Instead, we've experienced something much less common this time of year: abundant clear skies and sunshine. An area of high pressure (sinking air, mostly clear skies) has been parked over the state for about a week. The air mass has been relatively cold, and averaged out, temperatures have been below average over this period. Still, the days have been quite warm, because the clear air allows for wide ranges in temperature between daytime and nighttime. There have been some low clouds though - very low clouds. 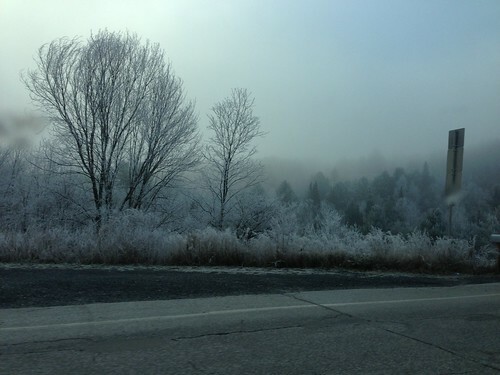 The river valleys such as those around Montpelier and Barre have experienced dense freezing fog on several mornings. 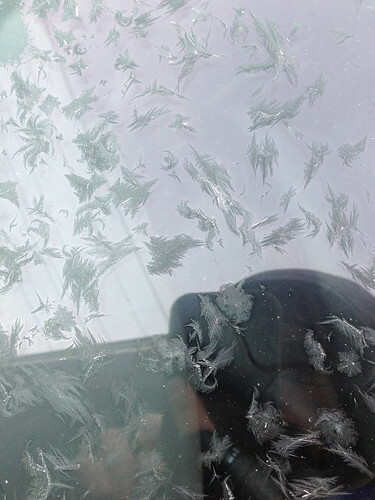 Moisture has also been condensing on car windows. Usually this means ice scraping - one of the less enjoyable tasks of a cold winter- but on some of the drier nights we just had pretty little ice crystal formations. I also noticed something odd on several cold mornings - one area of Barre seemed to get a dusting of 'snow' every morning. This area is near the river, so perhaps this 'snow' is just condensed river foam, or perhaps ice crystals that fell out of the fog rising off of the river. Certainly it is odd to see a dusting of 'snow' emerge from the fog after an otherwise clear night. 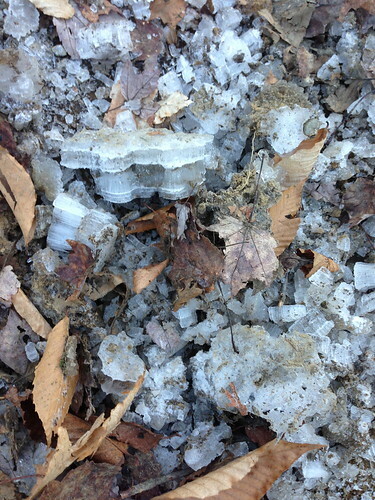 On a mountain trail we noticed 'frost heaves' forming. 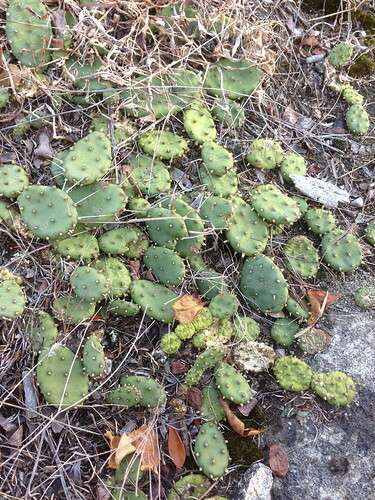 These form when moisture seeps out of the ground as it freezes and expands. 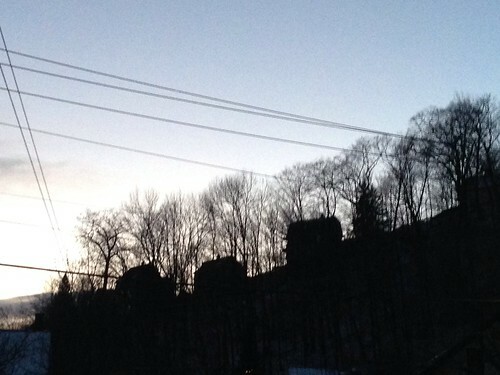 I think the layers above are formed each night as freezing and thawing conditions alternate over the day. 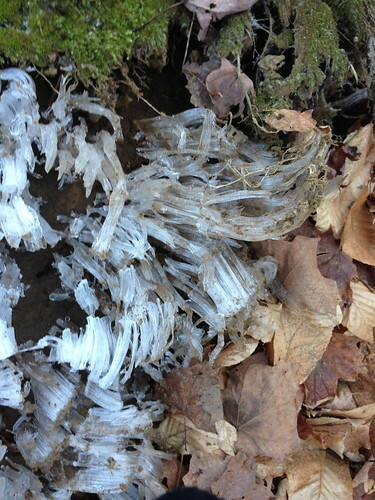 The 'frost flowers' or 'frost heaves' push right through the fallen leaves. 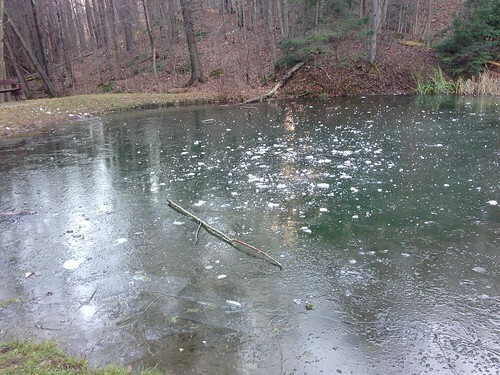 The larger lakes and rivers don't contain much ice but this small pond in Hubbard Park in Montpelier had some thick ice. There is more snow to come. The only question is how soon. The high pressure area is forecast to leave the state after Thanksgiving Day, and a small storm over the latter half of the Thanksgiving Weekend may drop a bit of snow. A larger storm may come in a bit over a week. Or, maybe not. Forecasts out that far aren't accurate. But, I did see one computer model run that, if correct, would mean we would get possibly about 6 inches of snow. Nothing unusual for the end of November, but more snow than we got all of last year's dud of a winter. We'll see! Last week I took a few days off to visit my friend Eli in Atlanta. 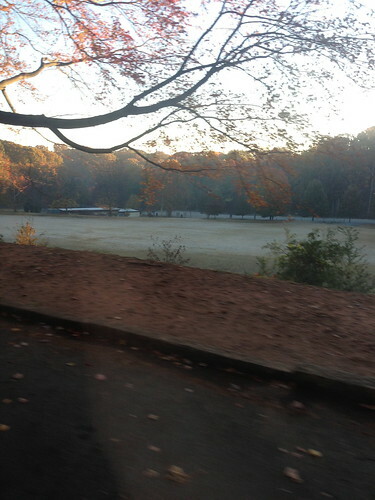 and then after our first night in Atlanta awoke to the first frost! I guess the cold followed us. Though, aside from chilly nights, the weather was quite warm. 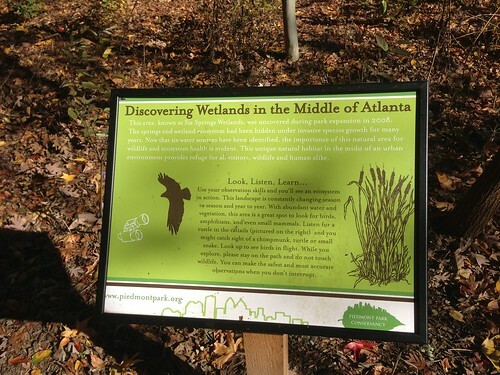 My time in Atlanta was fairly limited, but I did enjoy some time obsurving urban hydrology and nature. Atlanta is an anomaly - a city that is not built on a major river. In fact, it sprawls over the drainage divide between the Atlantic Ocean and the Gulf of Mexico. The Chattahoochee River flows along the western edge of the city, but near its headwaters. In fact, despite picking up around 50 inches of precipitation a year (more than Pittsburgh, Burlington, VT, or Seattle), Atlanta has experienced some recent droughts. Precipitation often comes as heavy thunderstorms and never as snow. As such, the combination of copious but irregular rain and lack of a convenient consistent water source means Atlanta is a great place for rain gardens and rainwater cisterns. In fact Eli has an enormous rainwater cistern, but I forgot to take a photo. 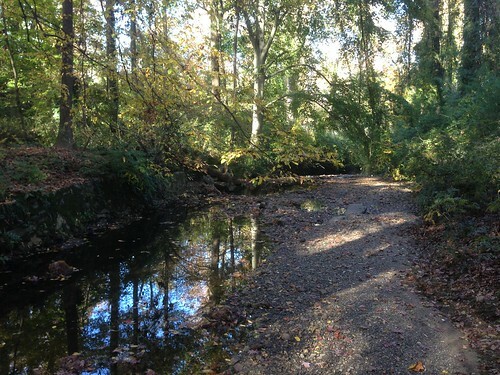 Unfortunately it is unlikely that this part of the creek would be daylighted, because this is a popular place to hold outdoor events (I'm sure a workaround could be found, but the motivation isn't there). 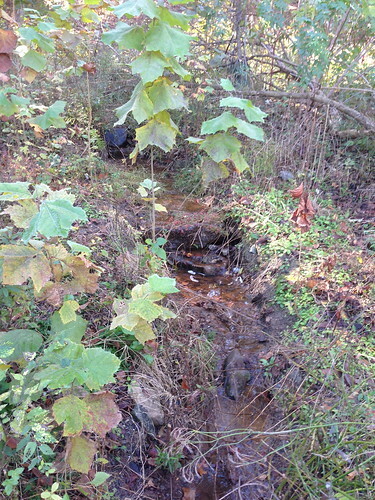 However, a bit downstream there is a nice little restoration area. These springs may be getting most of their water from an artificial lake just uphill from them, but they still function just like natural springs, offering habitat for a variety of animals and plants. 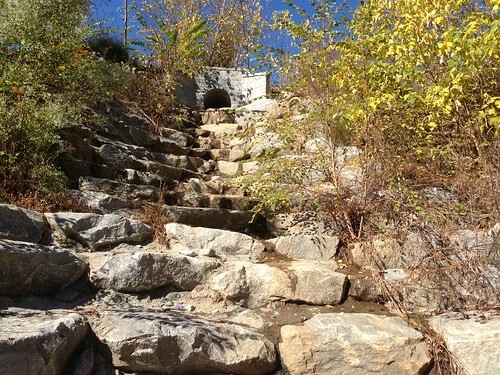 Nearby, a culvert directed water down a concrete cascade. I'm not a big fan of concrete in waterways but there isn't really a way to direct water down this hill on soil without massive erosion. At least it would be fun to watch the water rush down the rocks after a heavy rain. Later we visited a tiny urban forest fragment. 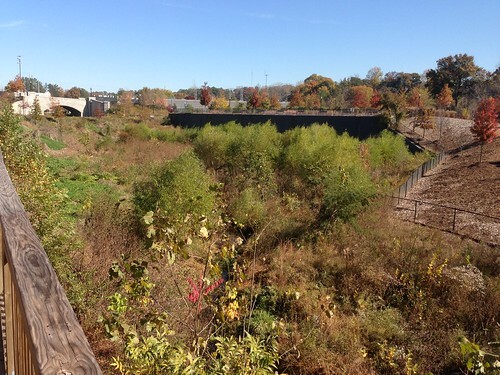 Unlike in California, Atlanta hasn't frantically and intentionally turned every waterway into a sterile concrete ditch! Eli looks for big trees and helped create the Google map on that link. 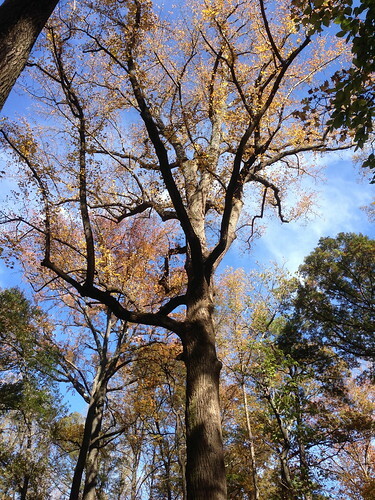 There's even an iPhone app for locating Atlanta's champion trees. We saw some huge trees in the city - probably bigger than any trees in Vermont, except for maybe a handful of big cottonwoods along the lake. 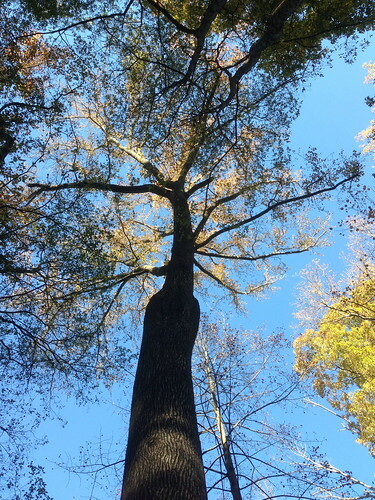 Trees grow fast in the South, where the growing season is long. 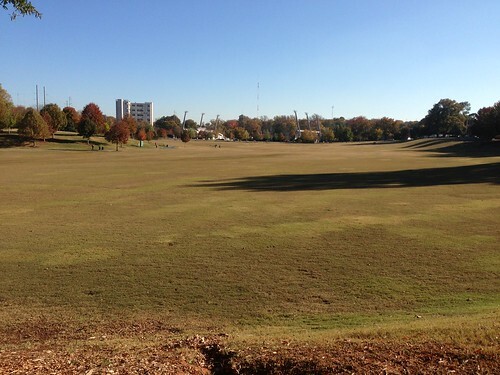 Atlanta also has fertile clay soils. 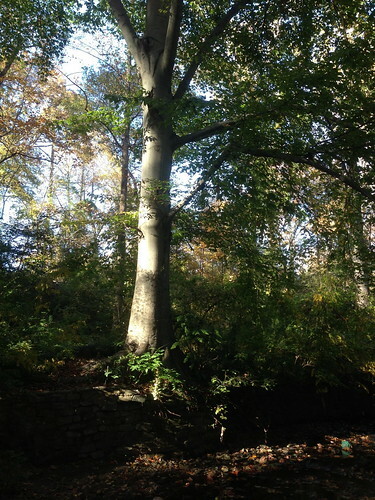 The beech bark disease doesn't seem prevalent in Georgia like it is in Vermont. We also visited an area of exposed granite outside of town (they called it a Monandock but it doesn't look like the big mountains that go by that term in New England). Despite its unimpressive stature it was a very neat place. 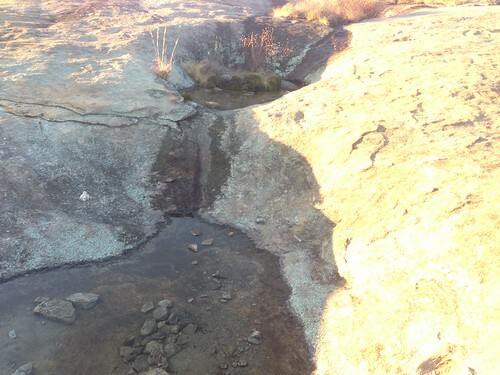 The exposed, smooth granite has no soil on it and strongly resembles a Utah slickrock desert. It would be very back to come back here during or right after a rainstorm, when water would be rushing down the rock and through the little gullies. It wouldn't be safe to be out on the open mountain during one of Atlanta's raging thunderstorms, though. A calm, cool fall rain would be more suitable. Maybe next time! 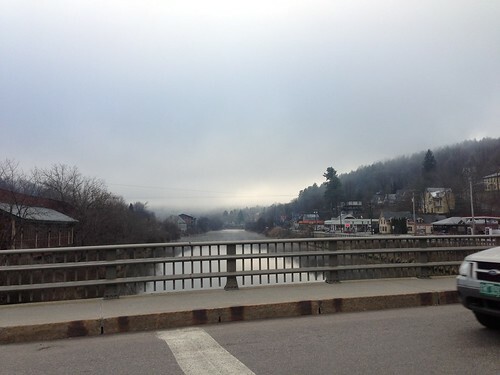 Yesterday was a typical November day in Montpelier, Vermont. Slate-grey overcast skies offered the backdrop for dark brown hardwood twigs totally devoid of leaves (except the beech trees. 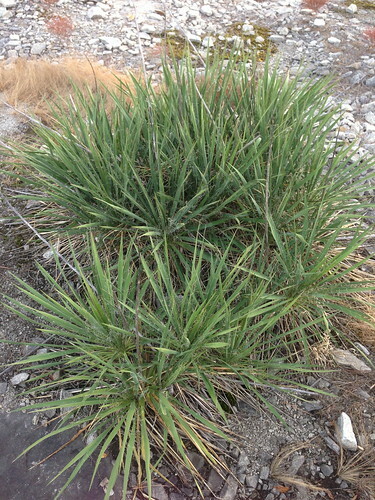 They retain their dry, tan leaves all winter and the leaves rattle and seem to shiver in midwinter winds). 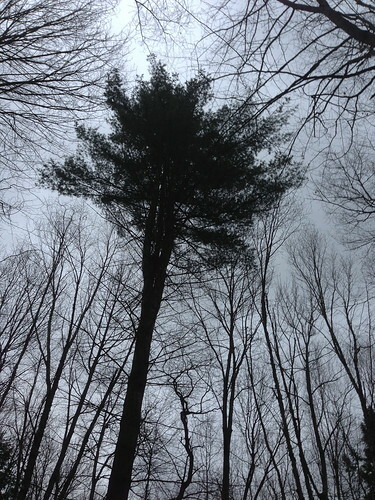 The needles of the pines looked black against the sky, and a north wind whistled through them. The scene calls to mind one of my favorite quotes... from the book Watership Down, referring to a group of rabbits that were resigned to a horrible looming fate, and chose to stand at its whim rather than avoiding or fighting it. The trees have no choice but to wait for the coming of winter's ice and snow. In this case the trees didn't have to wait very long for a taste of winter. 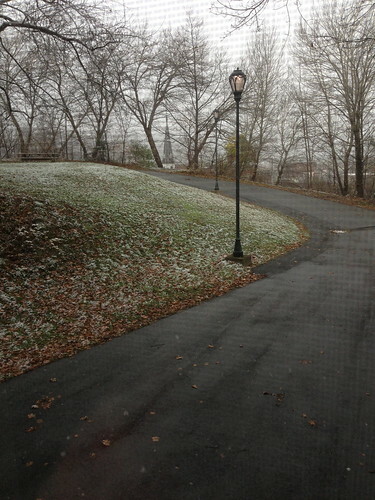 This morning we woke up to light snow. 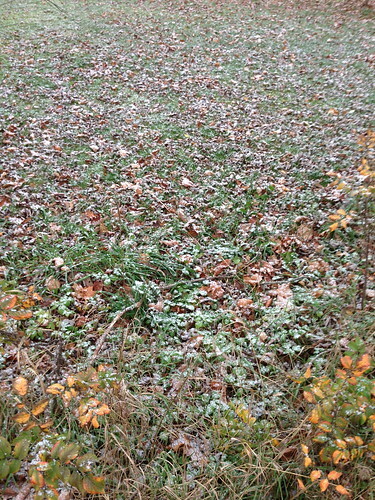 It picked up a bit in intensity, enough to overpower the warm ground long enough to accumulate a bit on the grass. 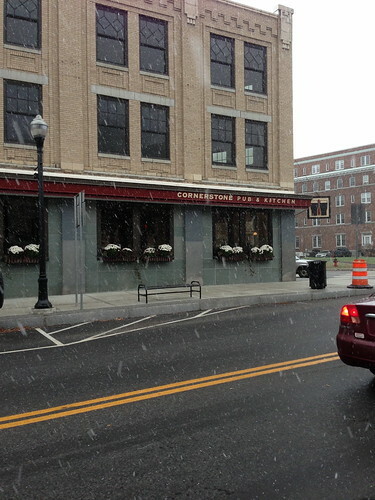 and on the new Cornerstone Pub and Kitchen in newly renovated downtown Barre. It was far too early to go in for a beer. Just a dusting accumulated in the Barre area. The snow in Barre and Montpelier melted quite fast under the weakening November sun and above the earth still warm from Hurricane Sandy's warm conditions last week. In the higher parts of Berlin some of the snow survived until nightfall. With temperatures forecast to drop to the low 20s tonight I'll probably see the dusting of snow still there tomorrow morning. I love the way these early snows tell stories about the subtle differences in temperature and precipitation across Vermont. 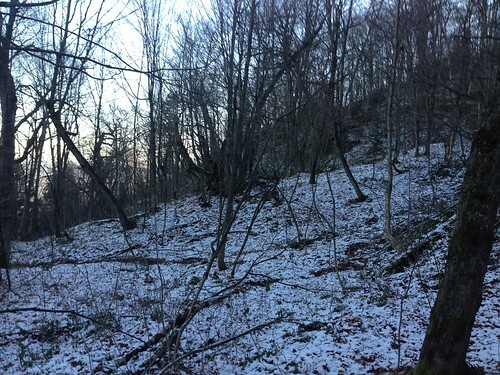 Snow stuck around a bit higher on the hills, just a few hundred feet above the valleys. 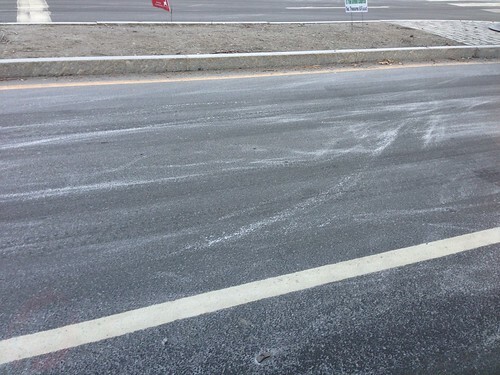 There were a few patches left in Montpelier but none in Barre. Montpelier is slightly lower in elevation, but perhaps it picked up a bit more snow. I noticed this last year as well. 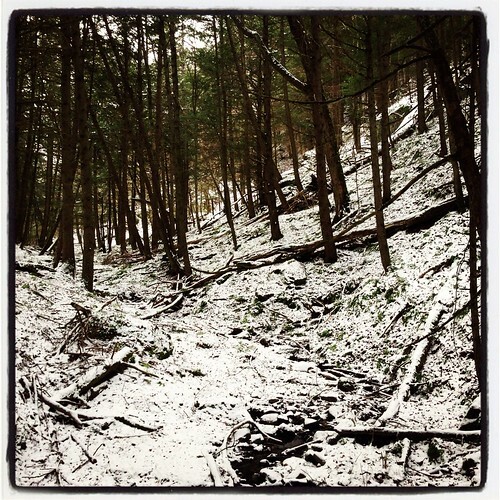 It looks like last year's first snow was a bit earlier and more substantial. Despite the earlier snow, last year turned out to be a very warm and snowless year. I think this year will be stormier, though it's hard to say what the temperatures will do. Montpelier tends to pick up and retain more snow than East Middlebury so I should be seeing more snow regardless. A more substantial storm is headed our way on Thursday. It may dump several inches of snow on us, but it will probably rain right afterwards, ruining the snow before anyone gets to enjoy it. Sleet is also a possibility. This sloppy mess, typical of November storms in Vermont, may offer inconvenience, but the storm is a more serious problem in areas impacted by Sandy. This nor'easter won't be nearly as severe, but since many areas are still devastated by Sandy's effects, even a moderate nor'easter may cause additional power outages and flooding. Hopefully the storm ends up moving a bit further east than forecast. That could spare the midatlantic the worst of the storm, and might also give Vermont less rain on top of their second snow of the year. Even though Sandy's remnants are still spinning down and the Midatlantic is only beginning its cleanup from the storm, people are already starting to talk about whether or not human-caused climate change may have created or worsened the storm. I'm not going to cover the topic in depth, but there are a few things worthy of mention here. First of all, Sandy was a huge storm, a monster created when a hurricane merged with an extratropical storm. This scenario can lead to some of the largest and most intense storms our planet can experience - storms that combine the hot, wet tropical energy of a hurricane with the battling air masses of the mid latitudes. This is not the first time such a storm has formed. They have ranged in the Atlantic and the Pacific before, and as far as I know can occur in the Southern Hemisphere as well. Sandy was a monster, but was it our creation? Not necessarily. Sandy passed over the warm Gulf Stream, which is warmer than usual right now, and this may have strengthened the storm a bit. But even without this factor, Sandy would have been a very severe storm. There's more, though. A monster isn't defined just by what it is, but what it DOES. Extratropical storms, even the huge ones, almost always move from west to east. Had Sandy curved to the east, like so many other storms, it would have spent its wrath over the ocean. Perhaps Sandy would have hit Newfoundland like the Perfect Storm, or could have crossed the ocean and hit Europe, but at that time the storm probably would have been weaker. Sandy, on the other hand, turned west. This was surprisingly well-forecast by computer models, and was caused by a deep meander in the atmospheric river we call the jet stream. Erratic hurricane paths are not uncommon, and the 1938 hurricane followed a somewhat similar one. The jet stream pattern was nevertheless quite unusual. It's one we've seen before, though. I wrote about it almost two years ago in the second most viewed post on this blog. Lack of Arctic sea ice may make that weather pattern more common. The quick summary? The jet stream rotates around the North Pole both because of the Coreolis Effect and because the North Pole is the coldest spot in the hemisphere... or at least it was. For most of the last few centuries (and perhaps since the last Ice Age) the Arctic Ocean has been frozen. The thick ice allowed the air to become incredibly frigid. Lately there has been very little sea ice. Liquid is an incredible moderator of temperature, and an Arctic Ocean with open water tends to moderate the winter temperatures upwards towards the freezing point, because it can't get more than a few degrees below freezing (salt, of course, decreases the freezing temperature of water). The Arctic Ocean is then perhaps less cold than Canada, Siberia, and Greenland. So, the jet stream shifts south around those continents, and orbits around the new 'poles of cold' in the continental center. This could lead to increased wandering in the atmospheric river... the kind that could grab a monster from the Atlantic and pull it right into the most populated part of the Eastern US coastline. Jeff Masters does a good job of describing this in more detail here. This is all new science of course. We don't know anything for sure. It's a bit scary though. The hurricane season is winding down so we probably won't have to worry about any more hurricanes being ingested by nor'easters this year. The pattern may, however, lead to a brutal winter in the Northeast this year. Less sea ice doesn't warm New England all that much, it will still be plenty cold enough to snow, and we may have to deal with more storms than usual. Or maybe not. Last winter was a non-event here. Get Your Mind In The Gutter! National NEMO Network - Includes Green Project Atlas! Can we Heat Vermont Homes with Invasive Buckthorn? Has the polar jet stream lost track of the North Pole? ARkSTORM - Could What Happened in Australia Someday Happen in California?